Microcredentialing has the capacity to transform education at all levels and for all students, from non-traditional working professionals to traditional-age graduate and undergraduate students. Just ten years ago, one would never have considered the portability of credentials that could follow a person from location to location, allowing potential employers to verify a job candidate’s fit for a position quickly. 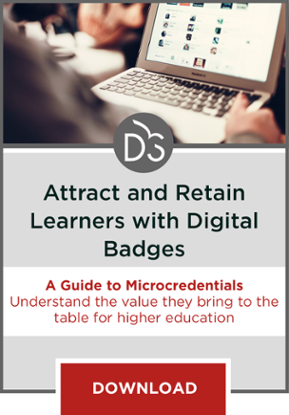 However, that is just what has happened, and the explosion of interest in digital badging and microcredentials is changing the landscape of higher education. The tried and true printed college transcript has served us well, but many higher education institutions are considering the inclusion of digital badging/credentials as supplemental information. In the immediate, Generation Y society we live in today, millennials want a way to instantly port their credentials; they want to show potential employers the certification and competency skills they earned during their college journey. One demographic that can benefit from microcredentialing is the working adult, who may have either never attended college or stopped attending to pursue family or career options. 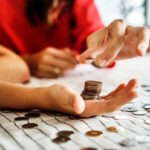 The idea of earning a microcredential may seem less daunting than going back to school for a full degree. 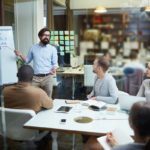 Badging has the potential to attract these working adults because it provides tangible credentials with less commitment than a full degree plan requires. The public service arena is another demographic that can benefit from microcredentialing. All fire and emergency services personnel are required to maintain minimum performance standards and obtain continuing education units (CEUs) to maintain certifications. Methods of showing minimum performance standards and obtaining CEUs include attending in-service classes and training events. Many fire rescue and emergency management organizations have adopted a computer-based education program that “buys” or purchases training time from a central repository. The fire and emergency management services fields are the fertile ground for badging and microcredentialing. Knowledge, skills and abilities are the foundations of any career field. Within Fire-Rescue organizations, the two predominant certifications are Pro Board and International Fire Service Accreditation Congress. In Emergency Management, it is the International Association of Emergency Managers. Electronic badging delivers more reliable and complete information about achievements than any paper- or card-based system. Digital badges encoded with microcredentials contain meta data that links back to the issuer, performance criteria, and verification of evidence. Meta data could include logistics, planning, operations, finance, command, and liaison training and experience. Other data could relate to paramedic, cardiac technician, public health, law enforcement, explosives ordnance disposal, or other specialty skills. Ultimately, badging offers portability of acknowledged skills and abilities that can be carried anywhere to demonstrate competency. Learners can accumulate badges across institutional platforms, and the badges can be sorted, shown, or hidden by the learner to reflect achievement in the particular skills or knowledge which the learner wishes to exhibit. Perhaps the greatest unexplored territory is the value microcredentialing can bring to graduate students. Indeed, one can surmise that like the professional career fields discussed earlier, graduate students can also benefit. Graduate students working in the technical, medical, legal, environmental or physiological fields can take the very same advantage of microcredentialing as working professionals. 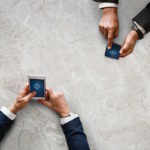 Their ability to port their certifications and credentials can be advantageous and can serve as a “portable electronic transcript.” Microcredentials can also personalize professional learning to meet the learner’s individual needs, allowing them to take quickly what they learn and apply it within their careers. 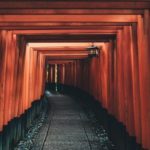 As we progress into the second decade of the new millennium, the demand for digital credentialing will continue to increase. As more colleges and universities move to offer such programs, student expectations of microcredentialing institutions will increase. In fact, digital badges will continue to be offered as an essential accessory, an online representation of learned skills as participants pave their personal learning pathways and master digital literacy skills. The landscape of undergraduate, graduate and technical higher education is changing, and the advent of innovative credentials and microcredentials has the potential to reshuffle the deck of higher education. It is important that educators pay close attention to the impact of digital badges as an accepted credentialing tool. Much like how the personal computer inspired the development of online higher education, digital badging and microcredentials have the same disruptive potential. Seven Lessons Learned from Implementing Micro-Credentials.” PR.com 28 Jan. 2016. General OneFile. Web. 20 Apr. 2016. Zalaznick, Matt. “Badges hit the big time: micro-credential programs target professionals needing a skills boost.” University Business Oct. 2015: 18. Academic OneFile. Web. 20 Apr. 2016.